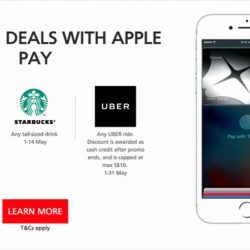 Till 31 May 2017 DBS/POSB Cards: Enjoy 90₵ Deals from Toast Box, Starbucks & Uber with Apple Pay in May! Iphone users, you are in for a treat in May! Enjoy 90₵ deals from Toast Box, Starbucks & Uber with DBS/POSB cards and Apple Pay from now till 31 May 2017. Simply charge a min. 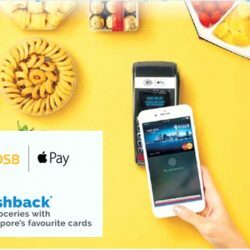 of $80 to your POSB/DBS Mastercard Card on Apple Pay at any major supermarket and enjoy $8 cashback on your groceries! Promotion is valid till 11 Feb 2017, or while stocks last. 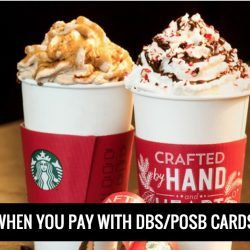 Till 31 Dec 2016 Starbucks: Enjoy $2 OFF when You Pay with DBS/POSB Cards on Apple Pay! Enjoy your favourite coffee at Starbucks with Apple Pay! 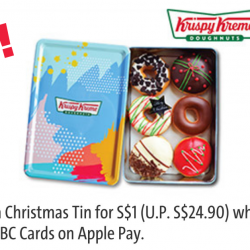 From now till 31 December 2016, enjoy $2 off when you pay using DBS/POSB cards on Apple Pay. 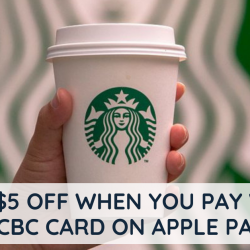 Applicable to all purchases including purchase and reload of Starbucks Card! 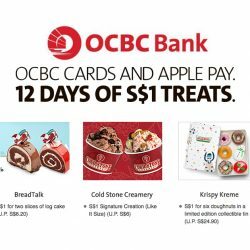 If it is your first transaction on Apple Pay with a DBS/POSB card, you get an extra $10 cashback! Valid till 31 December 2016 for the first 15,000 redemptions with min. spend of $10. Remember to alert your barista before making payment! From wiping surfaces to draining oil from food, paper towels are a must-have in the kitchen! 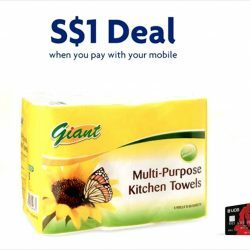 Stock up with Giant Multi-Purpose Kitchen Towels (6rolls) at only S$1 (U.P. S$3.20) when you pay with UOB Cards on your mobile. Valid till 28 Oct’16. T&Cs apply. 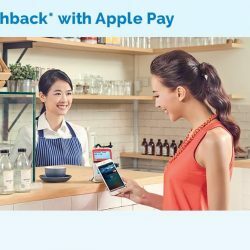 Haven’t added your card to Apple Pay yet? Now’s a good time! Add your POSB/DBS Credit or Debit Card and get S$10 cashback* when you spend min. S$10 with Apple Pay. *Valid for new POSB/DBS Apple Pay customers. T&Cs apply.